Xiaomi recently launched its new 85-inch tv-brand new xiaomi mi tv 4a for $ 433. 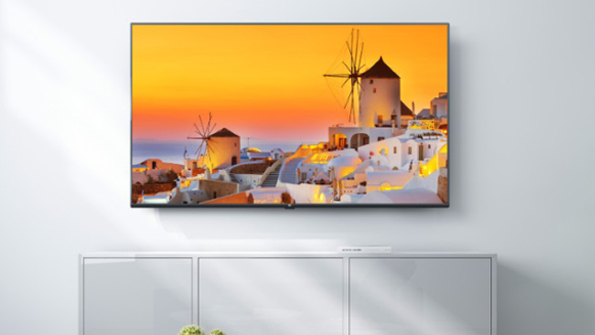 The xiaomi mi tv 4a has already been shipped in sizes of 32, 43, 49, 55 and 65 inches, and now the company has added this 85-inch TV to its 4A collection, which is currently only exported to China and later globally. The 43 and 49-inch models featured a resolution of 1080 pixels and both 55 and 65-inch models provided both 4K resolution images. But now with the 85-inch model, we'll see 4K and HDR images. This TV has a 4-core processor clocked at 1.5 GHz and is compatible with 2 GB of RAM. Other features include Dolby Sound, Dual Band Wi-Fi, and Bluetooth 4.2 which lets you connect this TV to a speakerphone, keyboard, Bluetooth mouse, game hand, and more. This device includes three HDMI ports, two USB ports and an antenna and an AV input for the stackable devices.